Today I wanna show you how to make Mouse Origami. There are different interpretation of mouse. Mouse is a small mammals that belongs to the order of rodents. These mouse also is use in scientific research.On the other hand mouse also is a pointing device use commonly in computer, In Origami mouse is very simple to do I hope that this will help you to love more origami. You can download available resources in the internet. 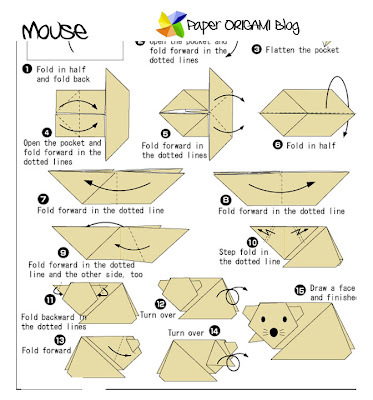 Mouse origami would be fun to do. I think I should follow the steps here and use my printer paper for practicing this origami.